This weekend BR Standard 4MT 4-6-0 75078 will head steam services on Saturday having put in sterling effort throughout the week. However, the locomotive retires at the end of the day to be replaced by USATC S160 2-8-0 5820 for the last round trip of the day and then heading the evening’s Haworth Haddock dining train. 5820 then continues on Sunday and will haul 6 coach trains throughout the week. 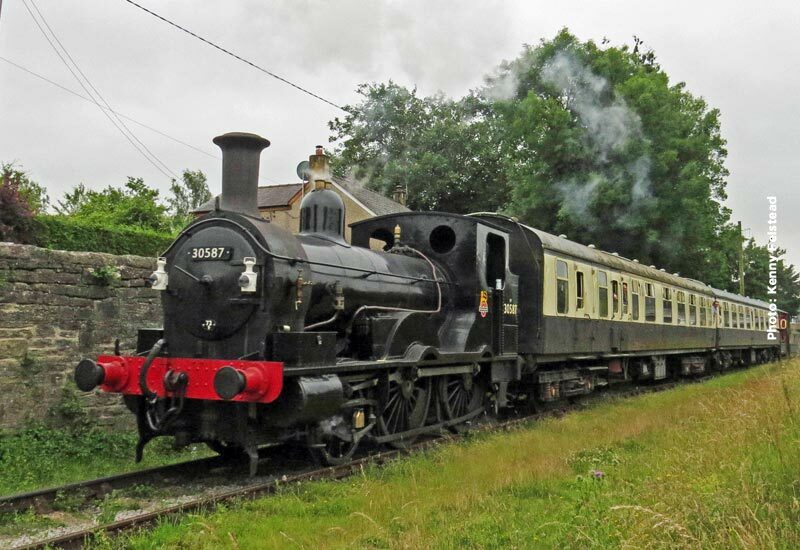 On Sunday there will be an rare appearance on a service train of the National Trust’s LNWR 0-6-2T ‘Coal Tank’ 1054, courtesy of the Bahamas Locomotive Society at Ingrow, hauling a 3 suburban set of coaches plus the NER ‘Old Gentleman’s Saloon’ which has been hired for a private party. The diesel services on Saturday will be handled by our Class 101 diesel multiple unit. 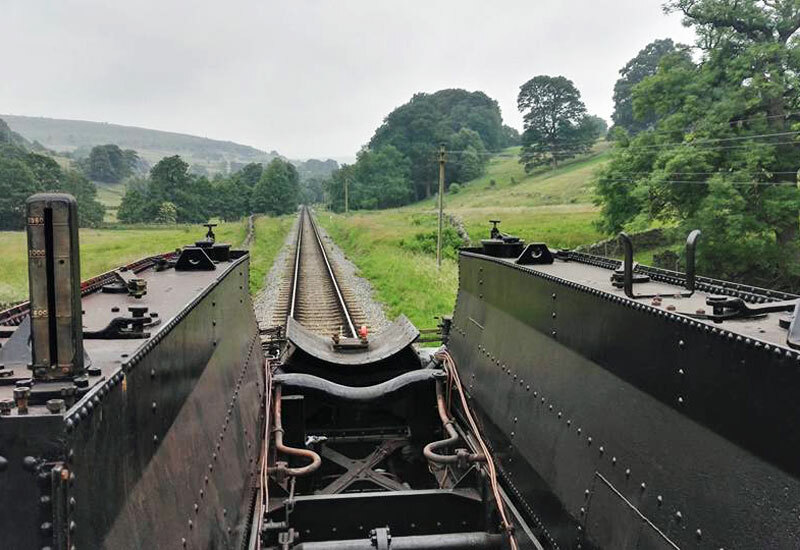 On Saturday the first train departs Oxenhope (diesel railcar) at 09.00 with steam locomotive hauled trains operating from 11.00 and on Sunday, the first passenger service is steam hauled at 10.15. In addition the vintage tour bus will be in operation every day. Only 3 days to go before we start our 8 days celebrating the 50th Anniversary of the Keighley & Worth Valley Railway re-opening on the 29th June 1968. To download the working timetables for all 8 days of the Gala, click HERE. 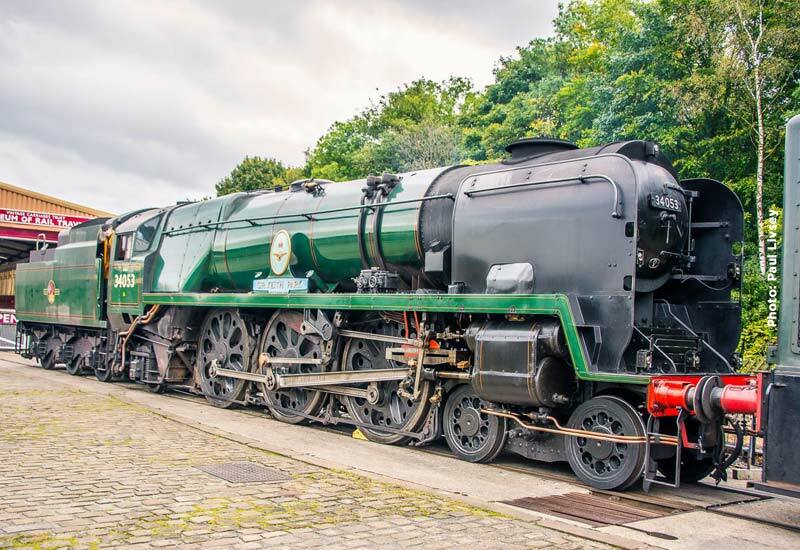 To view the daily passenger timetables visit the KWVR website or to download the passenger timetables for all 8 days of the Gala, click HERE. 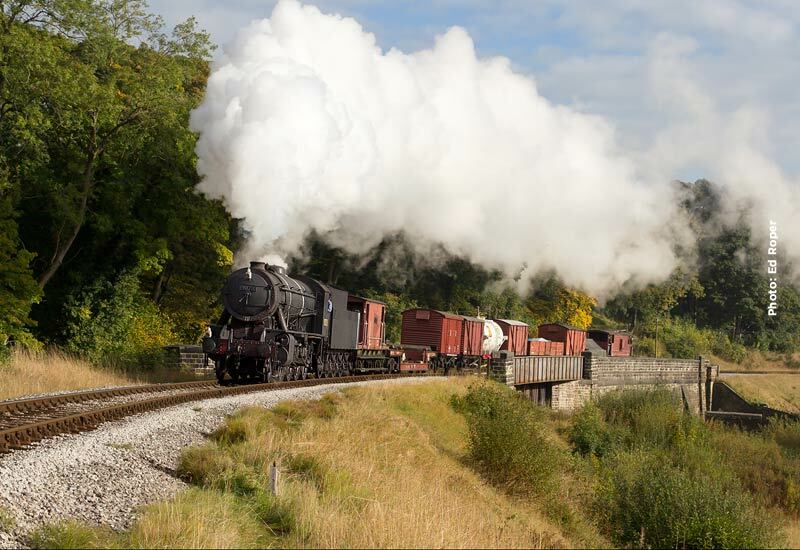 Last week the publication of the locomotive roster was unfortunately mistimed with the failure of USATC S160 2-8-0 5820, MR 4F 0-6-0 43924 deputising. The loco department had their workload increased when, at the weekend, WD 2-8-0 90733 failed and had to be replaced. 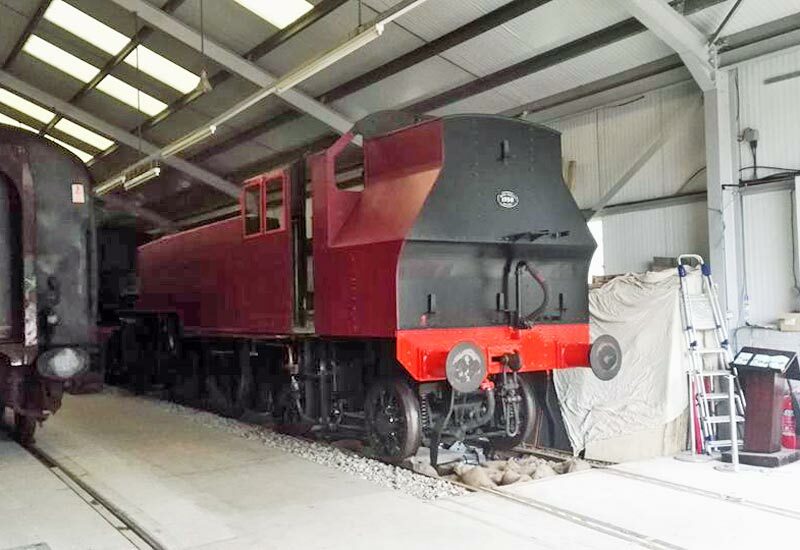 So with fingers crossed we anticipate that BR Class 4MT 4-6-0 75078 will be operating Monday – Saturday. 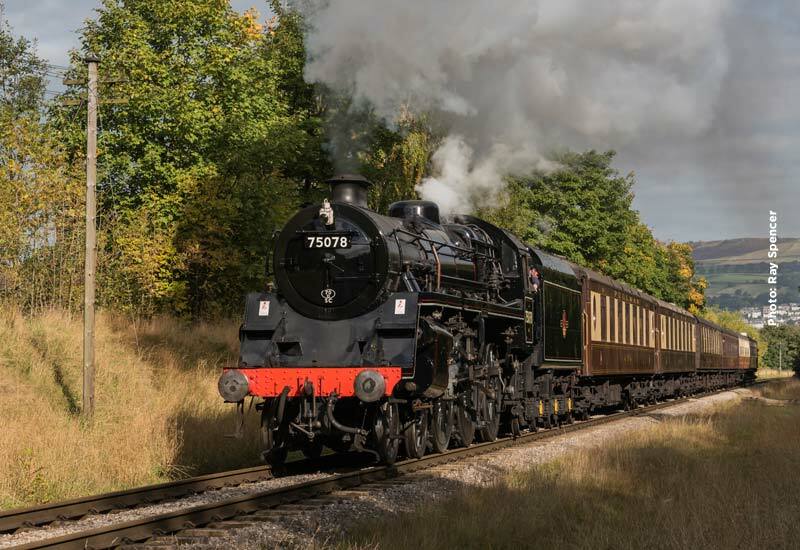 On Sunday 6th August, restored to good health after its problems last weekend, WD 2-8-0 90733 will take over from 75078 and will be joined by LNWR 0-6-2T ‘Coal tank’ 1054 with another of our Sunday Vintage trains comprising a set of our more venerable coaches with four from the Lancashire and Yorkshire Railway Trust and the Metropolitan brake from the Vintage Carriages Trust. This week Taff Vale Railway 0-6-2 no. 85 will handle all the services Monday – Friday. 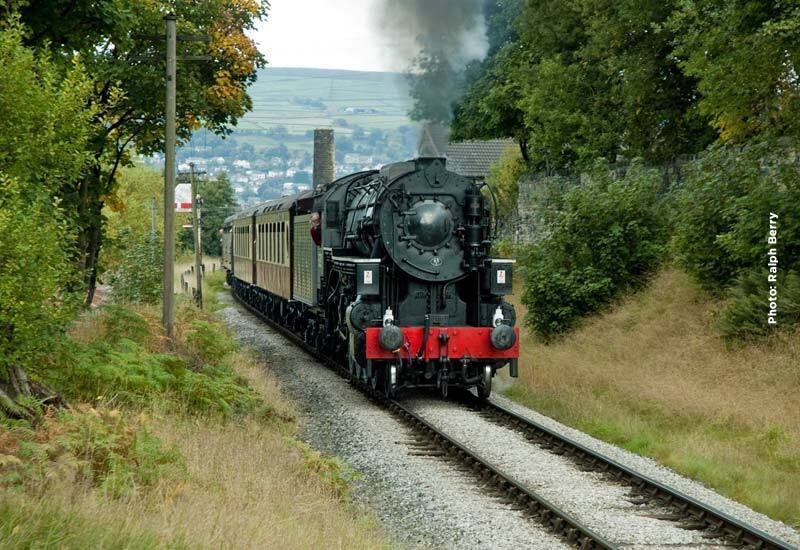 The first steam train leaves Oxenhope at 10.00 and the last service on the branch departs Keighley at 15.45 – 4 round trips in all. On Saturday USA S160 2-8-0 5820 takes over for the weekend’s main service. 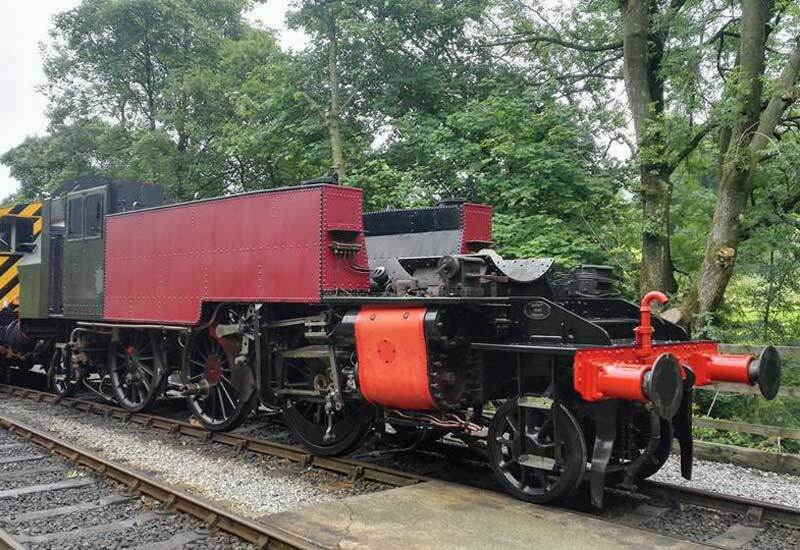 On Sunday 24 will be joined by LNWR 0-6-2T ‘Coal tank’ 1054 with another of our Sunday Vintage trains comprising a set of our more venerable coaches with four from the Lancashire and Yorkshire Railway Trust and the Metropolitan brake from the Vintage Carriages Trust. Class 101 DMU will operate the diesel service on Saturday morning. For the timetables in operation this weekend, please click HERE to visit the main website. 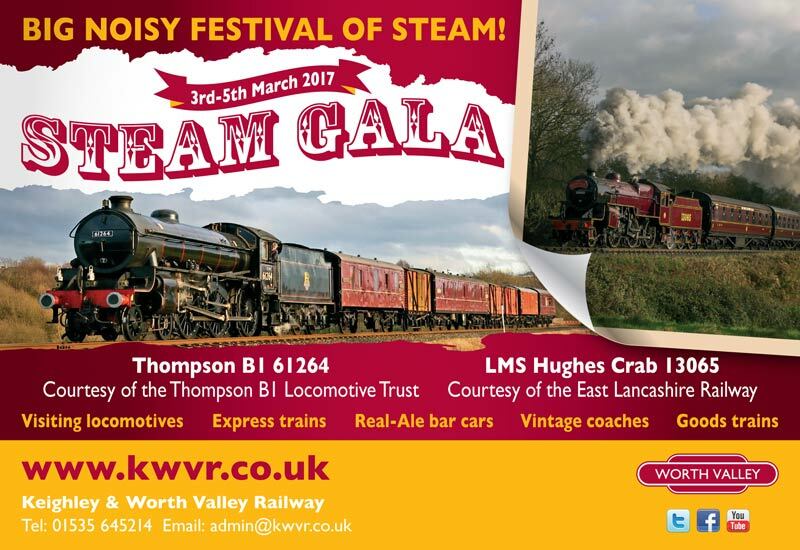 This weekend sees the first Little Engine’s Gala which, like our Winter Steam gala, will operate over 3 days, 7th – 9th July. 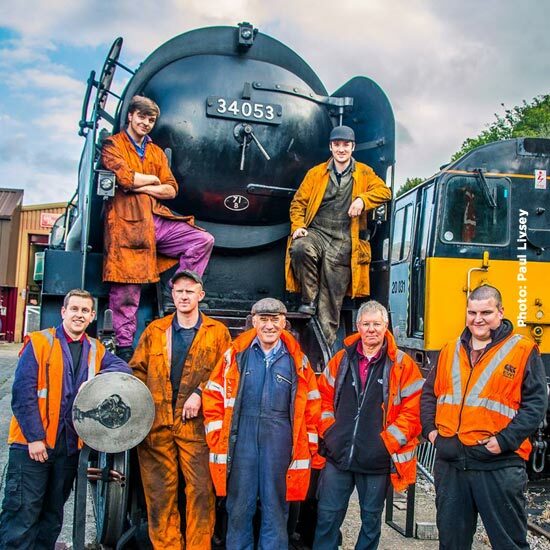 Harking back to the early days of the preserved Railway, the KWVR is honouring those early pioneers when the smaller locomotives of the fleet will take centre stage to reflect the days before the larger locomotives ruled the roost. 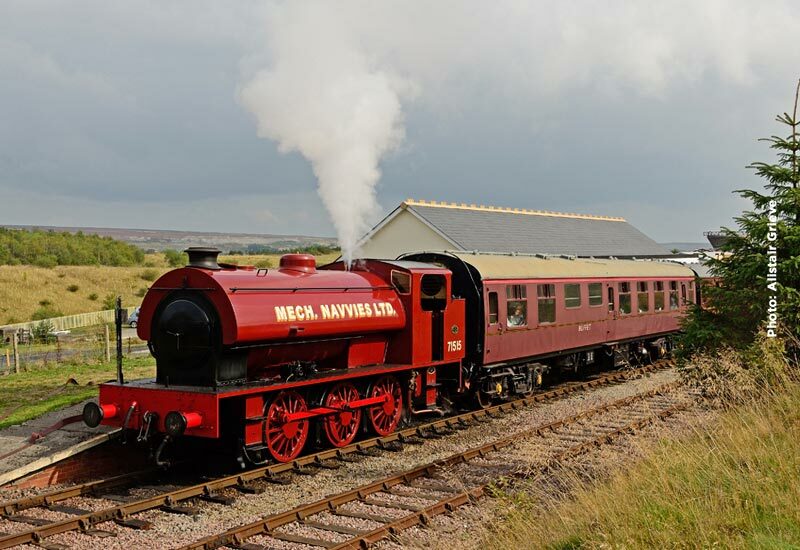 The railway have announced 2 visiting locomotives, both with connections to the Railway but in diverse ways. The first to be announced was ‘Austerity’ 0-6-0ST 71515 ‘Mech Navvies Ltd’ from the Pontypool and Blaenavon Railway a type of engine that featured in the early days of the KWVR with two examples of the class operational during the early years. This was followed by the announcement of our second guest, London & South Western Railway ‘Beattie well tank’ 2-4-0WT 30587 courtesy of the Bodmin & Wenford Railway. Similar locomotives, but designed and owned by the Midland Railway, operated the branch in the very first years that the Railway was open in the nineteenth century. TVR 0-6-2T no. 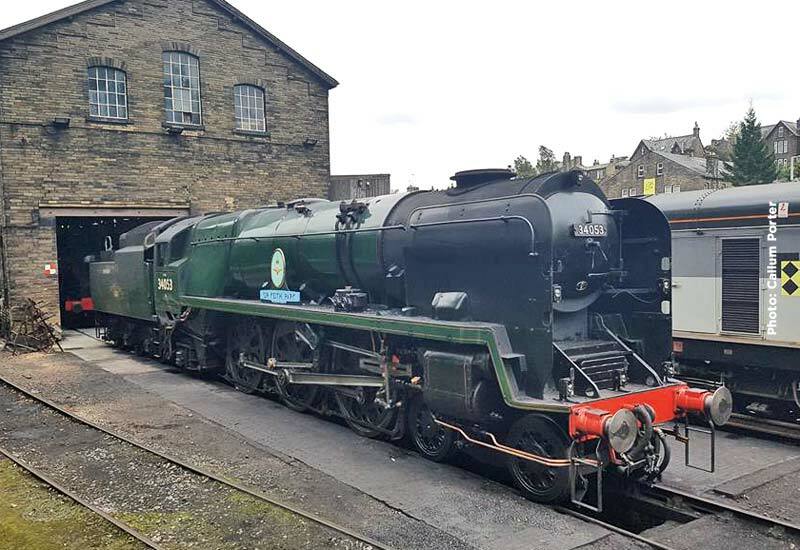 85 will have the honours hauling the Monday – Thursday services between Oxenhope to Keighley before joining in with the Little Engines Gala. MR 4F 0-6-0 43924 will have the honours hauling the weekday and weekend services between Oxenhope to Keighley. 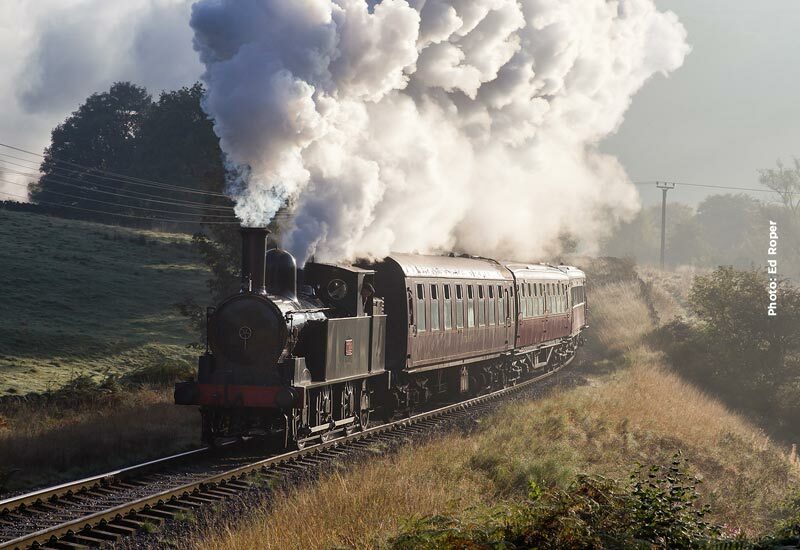 On Sunday 43924 will be joined by LNWR 0-6-2T ‘Coal tank’ 1054 with the second of our Sunday Vintage trains comprising a set of our more venerable coaches with four from the Lancashire and Yorkshire Railway Trust and the Metropolitan brake from the Vintage Carriages Trust. The Saturday diesel turn will have our Class 101 Diesel Multiple Unit running the services with the first train leaving Oxenhope at 09.00 on Saturday. 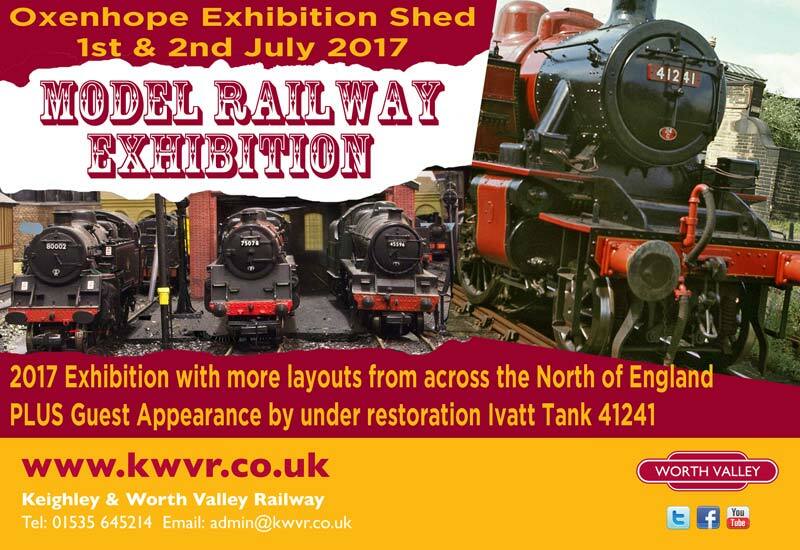 This weekend sees the return of the Model Railway Exhibition with the main event at Oxenhope and additional attractions at Ingrow. 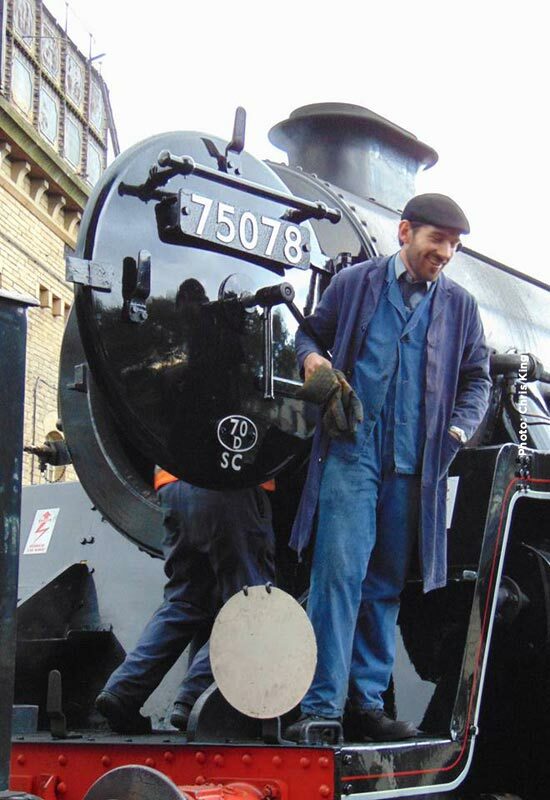 In similar circumstances to the NEC, we will have on display the partially restored Ivatt 41241 in order to0 raise the Appeal’s profile as we look to raise at least a further £35,000 towards the restoration costs. 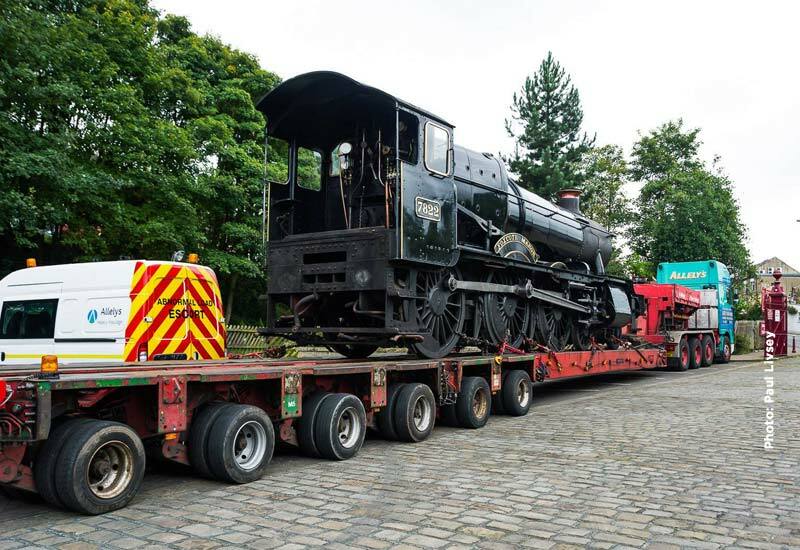 These latest images taken by James Horrell, one of the Ivatt team, shows 41241 on its way to Oxenhope, so come along and see how the work that the team have achieved to date. 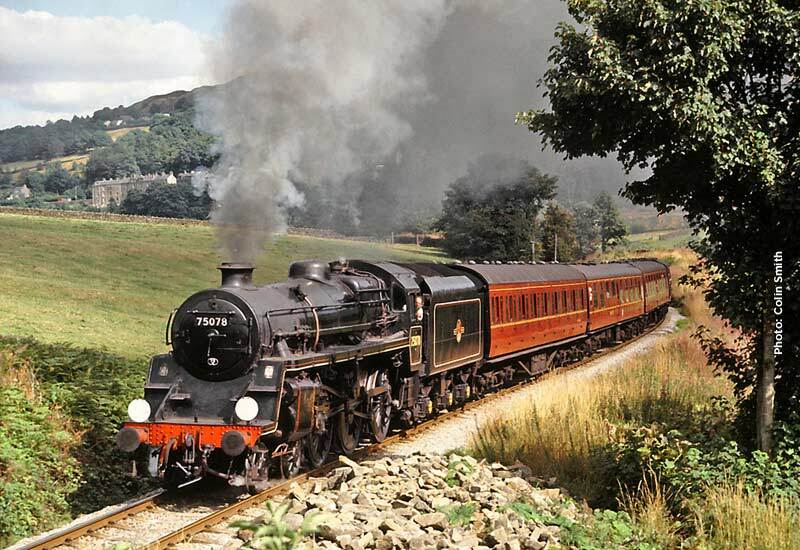 BR Class 4MT 4-6-0 75078 will have the honours Hauling the weekday service of 4 round trips from Oxenhope to Keighley. WD 2-8-0 90733 will be at the head of the passenger services on Saturday but will be joined by LNWR 0-6-2T ‘Coal tank’ 1054 as Sunday sees the first of our Vintage Train Sundays when 1054 will be at the head of a set of our more venerable coaches from the Lancashire and Yorkshire Railway Trust and the Vintage Carriages Trust. 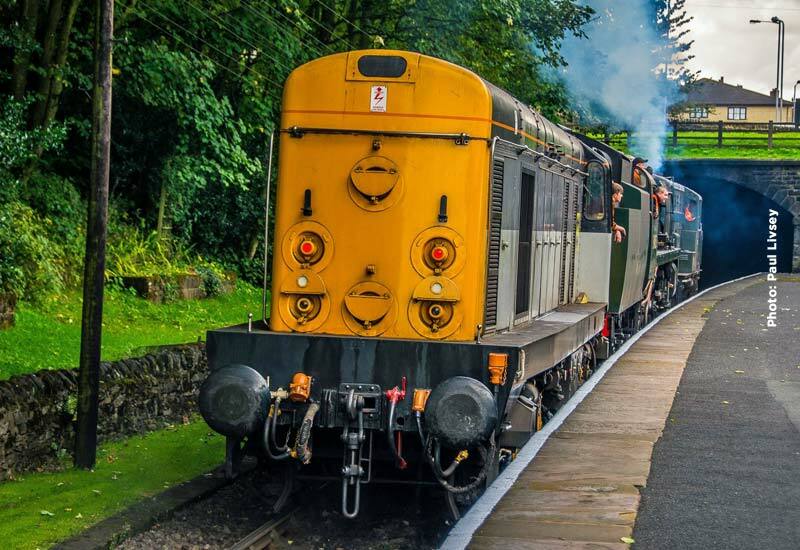 In addition, it is a Diesel & Ale Day on Saturday with Class 25 059 providing the diesel service throughout the day when the buffet will be sponsored by Cullingworth based, Old Spot Brewery serving a selection of their own real ales throughout the day. With only a few days to go, we are delighted to confirm the line up for this weekend’s Winter Steam Gala. 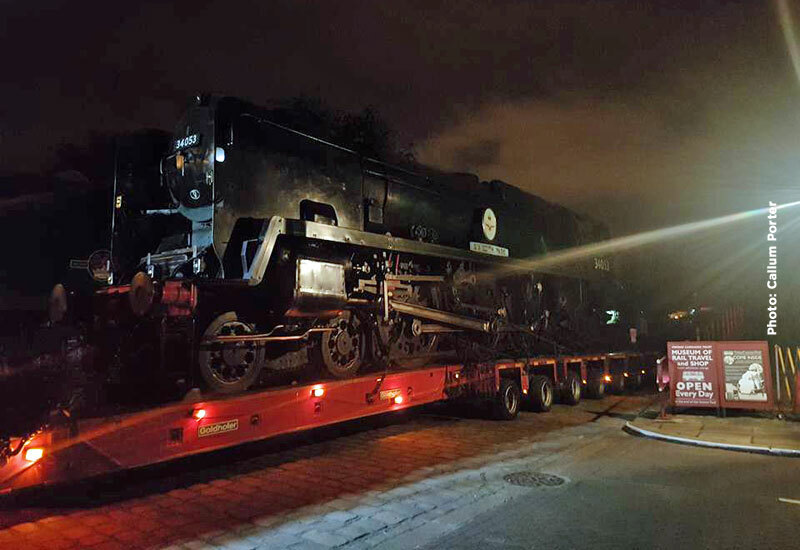 As posted earlier 13065 arrived last week and the image below shows our other visitor, 61264, on Haworth shed having arrived on the Railway at Keighley in the hours of darkness. … as well as a range of different coaching stock and goods vehicles. On Sunday Mary and Ann, our two K class Pullmans built in 1930 as a pair for the Southern Railway Bournemouth Bell service will be in use. A supplement for travel is required for these vehicles at £5 each. Throughout the morning the supplement entitles you to complimentary ‘Coffee & Croissant’ and during the afternoon a traditional ‘English Cream Tea’ – it’s well worth a fiver! The situation with the two ‘Black 5s’, 45212 and 45407 remains fluid. They are due mainline certification this week and if that is forthcoming they should arrive on the Railway Friday evening by our connection at Keighley. This, of course precludes their participation on Friday, but will, if they do arrive, operate Saturday and Sunday requiring an amendment to the working timetables as previously published. As with all our Galas we publish the working timetables for the various workings. The up-to-date version (01/03/17) can be viewed by downloading the 2017 Winter Steam Gala Working Timetable PDF. It is important to note that these timetables take account that 45212 and 45407 MAY be attending and reflect that the situation remains fluid. 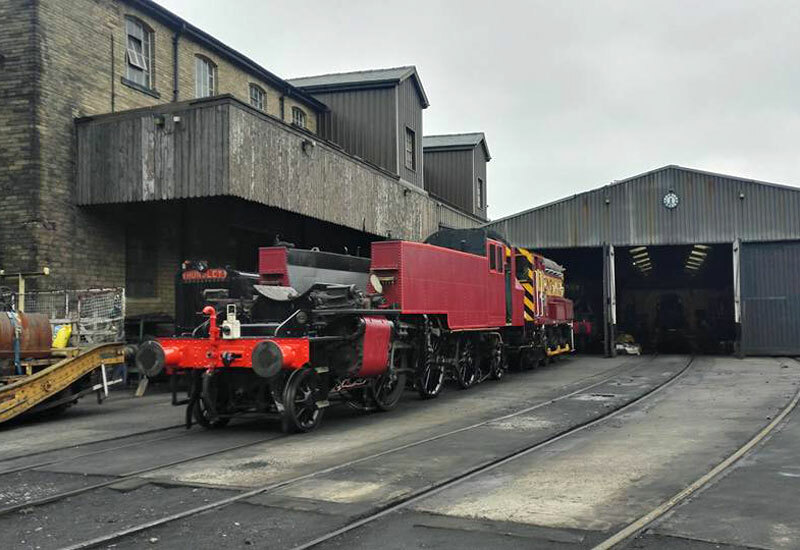 Once again we will be running our unique tour behind the scenes in our engine shed and workshop at Haworth, the tours being led by our experienced and knowledgeable volunteer tour guides. 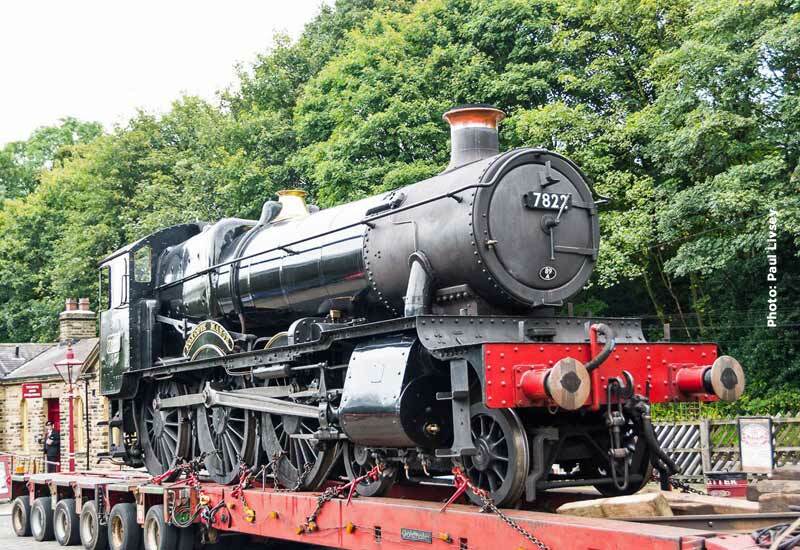 The tours are organised to raise funds to restore the Ivatt 2-6-2T 41241 and although the tours are free, we do ask our guests to consider making a Gift Aided donation, usually in the region of £5 to the KWVR Charity (no 1136853). Tour times will connect with trains from Keighley arriving at Haworth where you will meet your guide at Haworth Station for your 45/60 minute tour. Night has fallen as 34053 arrives at Ingrow. Loco and tenser reunited after their journey from Shropshire. 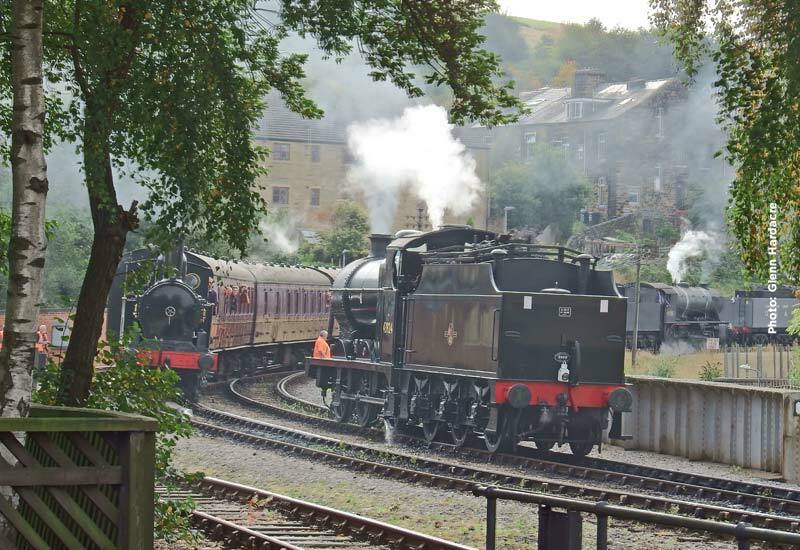 … D0226 on the front and 20 031 at the rear depart for Haworth. 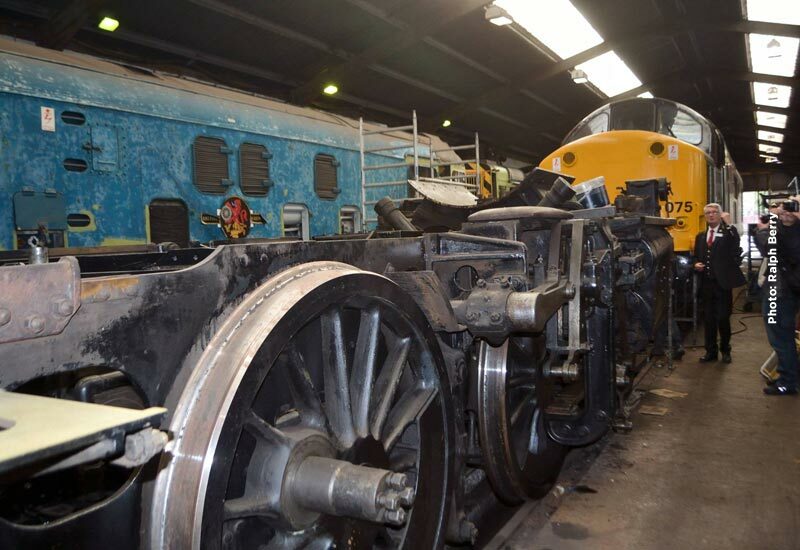 34053 rests awaiting its first turn of duty on Friday. After attending the NYME Gala, ‘Foxcote Manor’ arrived at Ingrow. 7822 waits patiently, ready for off loading and towing to Haworth. Happy faces of the guys that made it happen. 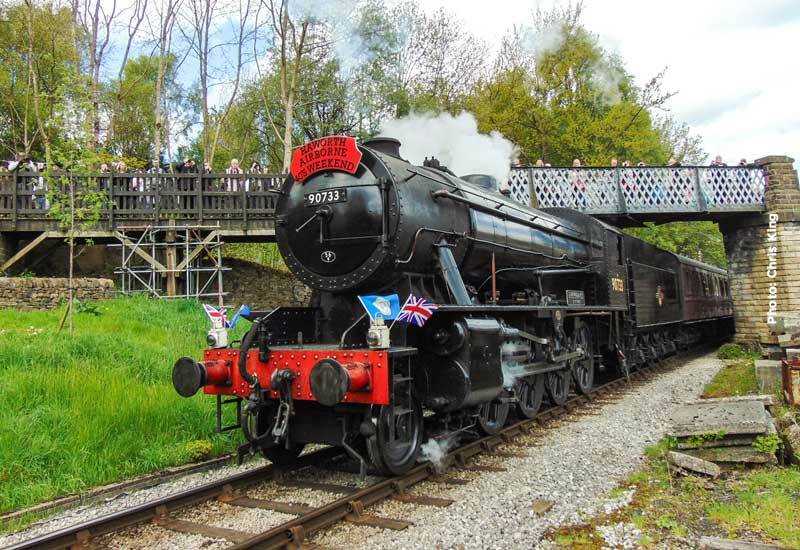 Full details and passenger timetables are available on the main KWVR website. Follow this link for the enthusiasts working timetable. The mid-week diesel railbus service will once again be in the hands of the Class 101 diesel multiple unit. For the timetables in operation this weekend, please click HERE to visit the timetable page. 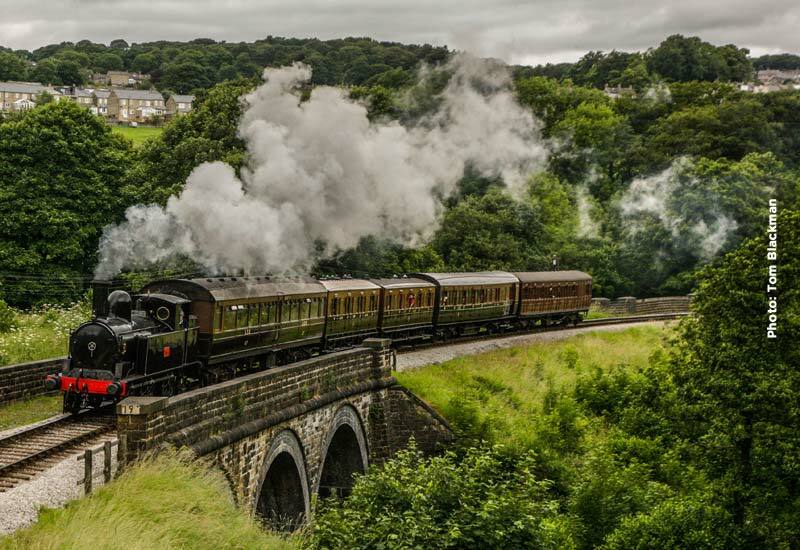 Whilst every effort will made to ensure that the advised motive power and coaching stock are available, the Keighley & Worth Valley Railway reserve the right to change this when operational circumstances so dictate. WD 2-8-0 90733 has worked throughout this week and continues throughout the weekend only to be relieved of its duties on Monday when MR 4F 0-6-0 43924 takes over and heads the weekday steam service. The Class 101 DMU will operate the Saturday and Sunday morning diesel service. 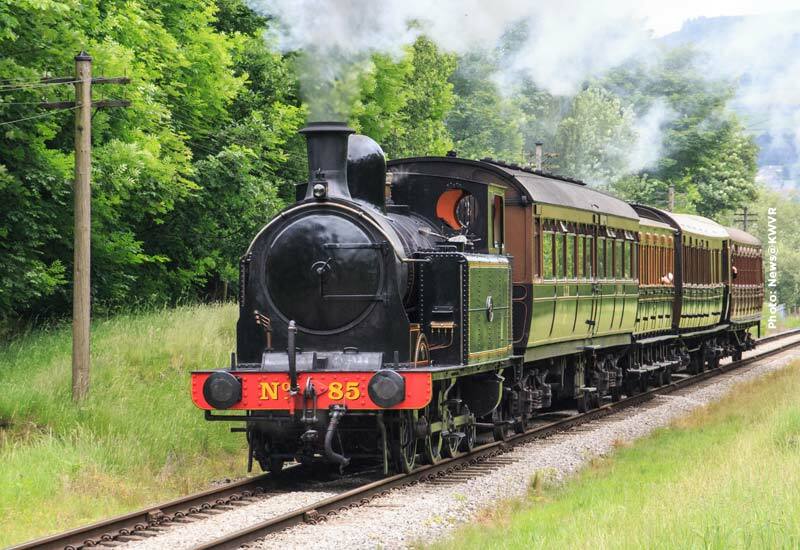 This weekend is the 5th of our series of Vintage Train Sundays when our more venerable locomotives and rolling stock are allowed to stretch their legs on the main line. 75078 has been in operation throughout the week but gives way to MR 4F 0-6-0 43924 to head the main timetable services throughout the weekend, with WD 2-8-0 90733 taking over for the weekday service. As it is the last Saturday of the month, we will be operating a two train service all day with the relief train in the hands of one of our ‘big’ diesels. This Saturday English Electric Class 37 no. 37 075 will take a 4 coach set throughout the day. The Class 101 DMU will operate the Sunday morning diesel service. 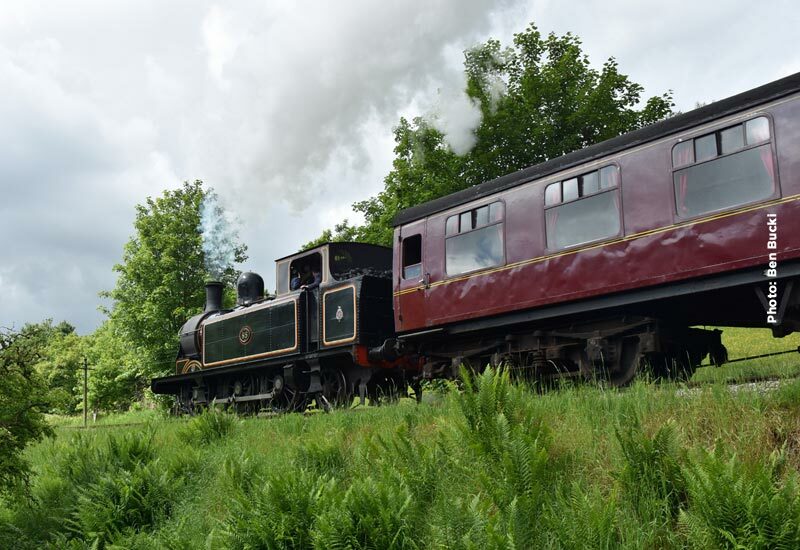 This weekend is the 4th of our series of Vintage Train Sundays when our more venerable locomotives and rolling stock are allowed to stretch their legs on the main line. BR Class 4MT 4-6-0 75078 will head the main timetable services throughout the weekend, with the weekday service in the hands of MR 4F 0-6-0 43924. The normal early morning diesel railbus is rested on Saturday and English Electric Class 20 no. 20 031 will take a locomotive hauled set on the morning diesel run before handing over to 75078. The Class 101 DMU will operate the Sunday morning diesel service. After the withdrawal from service of BR Class 4MT 4-6-0 75078 at the weekend, the weekday service has been in the hands of MR 4F 0-6-0 43924. 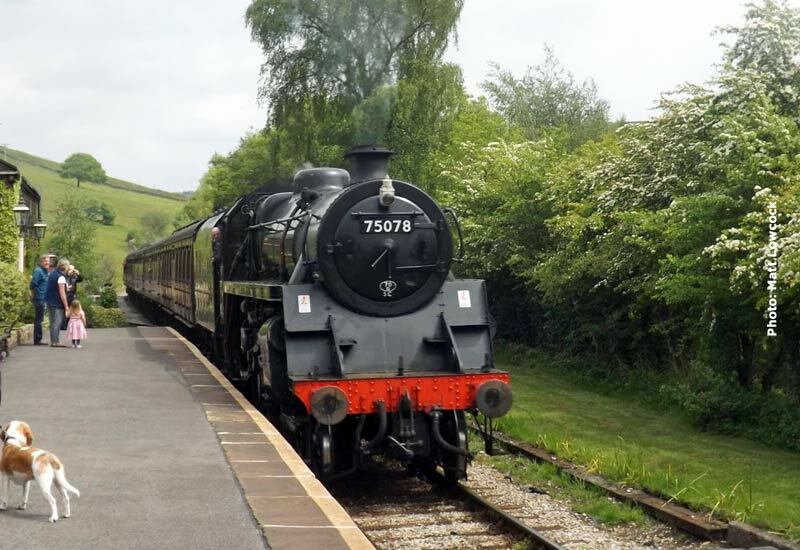 However, it is anticipated that repairs will be completed in time for 75078 to resume duties on 1st July and will be the main steam locomotive Saturday and Sunday and throughout the week. The normal early morning diesel railbus is rested on Saturday and English Electric Class 20 no. 20 031 will take the service set on the morning diesel run before handing over to 75078. The Class 101 DMU will operate the Sunday morning diesel service. The weekday service has been in the hands of MR 4F 0-6-0 43924. 43924 steps down for the weekend with WD 2-8-0 90733 to take charge of all steam services Saturday through to Friday. The morning diesel service will be provided by the Class 101 diesel multiple unit. On Saturday we have a special timetable with our two Class 08 diesel shunters taking a rare turn on passenger duties. See our Class 08 Celebration event page for more details. 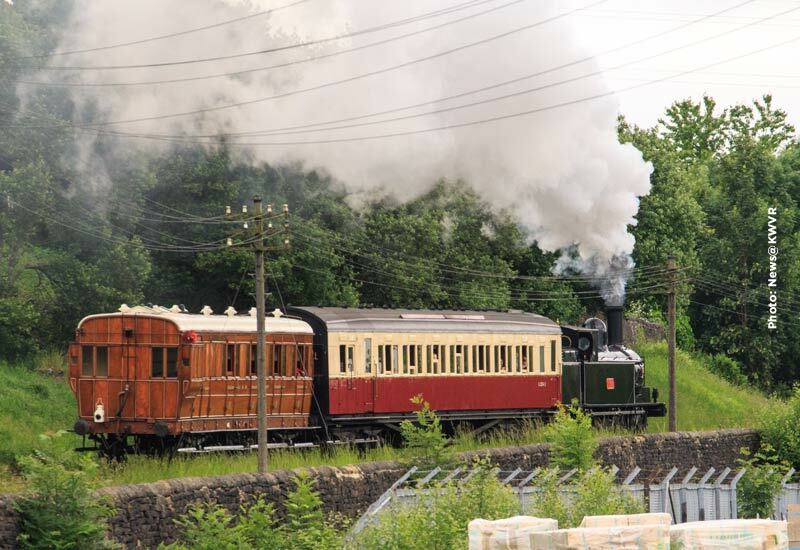 This weekend also features the second outing of the year of the Vintage Train on Sunday, supplemented once again by a vintage Keighley – Ingrow West shuttle. TVR 0-6-2T no. 85 will haul the full line service with LNWR 0-6-2T ‘Coal Tank’ 1054 on the shuttles. 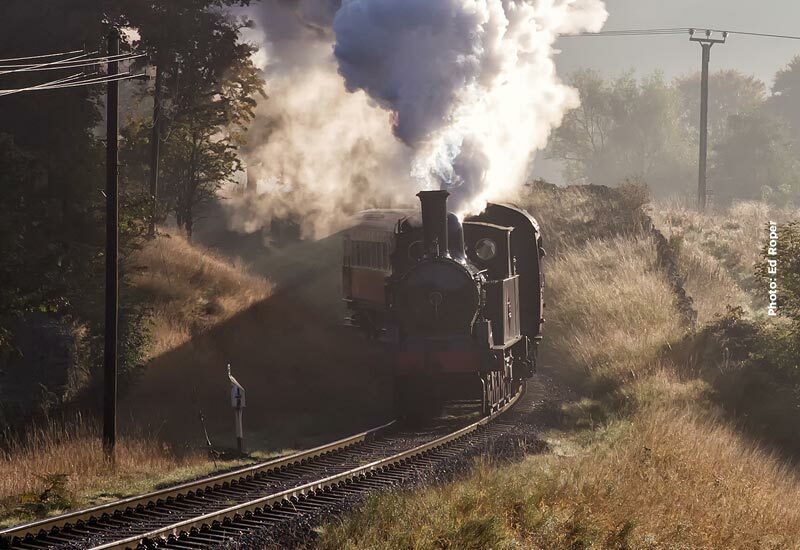 The Autumn Steam Spectacular started in fine sunny weather with a slight chill in the air. We are delighted to have received photographs, not just from regulars but also new contributors and below is a selection of those we have received so far. Just click on the photograph to view the slide show. For these photographs and many more, look out for a full gallery of Gala photographs that will be published in our Flickr feed in the coming weeks. Please keep the images flowing in. The day was not just for the adults, this little visitor found a new amusement around the turntable, but it was all too much for one of our regular volunteers who took solace in the buffet car at Oxenhope. 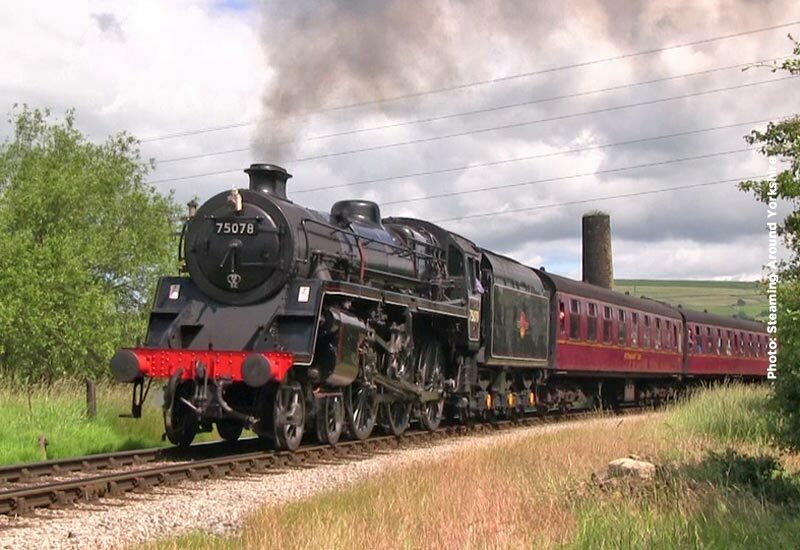 After a rest for a few weeks BR Standard 4MT 4-6-0 75078 is in action with the weekday service Monday to Friday. Plus the Vintage Tour Bus is in operation all week and returns on Sunday for the Haworth Station – Haworth Village – Oxenhope tour. The USATC S160 2-8-0 5820 will return for the weekend main service train for Saturday and Sunday with the Class 101 DMU on the diesel service. 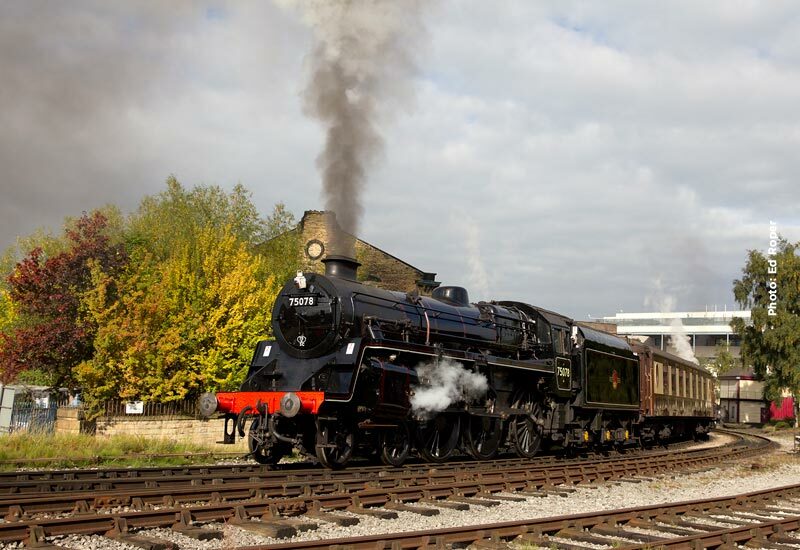 On Sunday 5820 will be joined for the second week by LNWR ‘Coal tank’ 1054 for the last of this year’s vintage trains. Having rested for a few weeks MR 4F 0-6-0 43924 is back at the head of the weekday service complemented by the Worth Valley Vintage Tour Bus. First train departs Oxenhope at 10.00 and the first bus leaves Haworth at 11.05. On Saturday 43924 gives way to WD 2-8-0 90733 which will operate throughout the weekend being joined on Sunday once again by LNWR 0-6-2 ‘Coal Tank’ 1054 on the Vintage Trains passenger service. After last weeks diesel locomotive hauled trains, the morning diesel service is back in the capable hands of the Class 101 DMU. 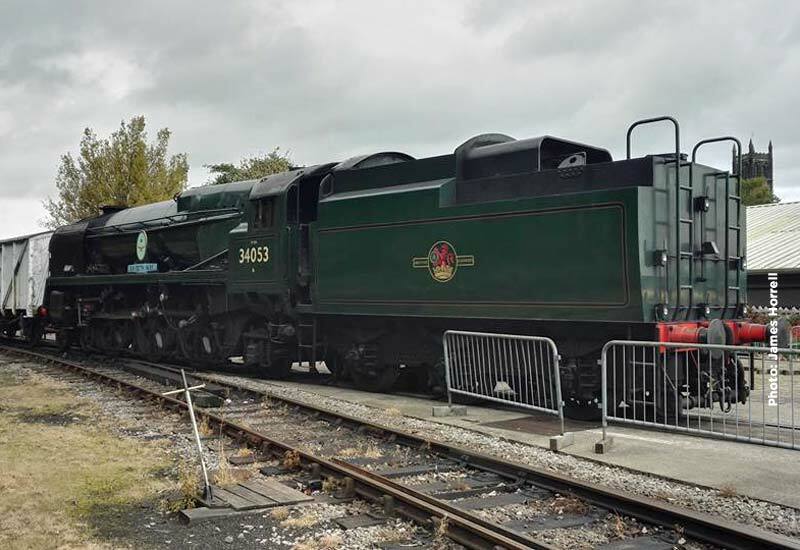 Due to unforeseen circumstances, it is with sadness that we are unable to welcome the planned visits of U Class 31806 and Rebuilt Battle Of Britain 34053 ‘Sir Keith Park’ to our Autumn Steam Gala. This is because of restrictions currently in place on road access to the Railway following difficulties with a previous move. We are working hard to source a visiting locomotive that can arrive by rail. 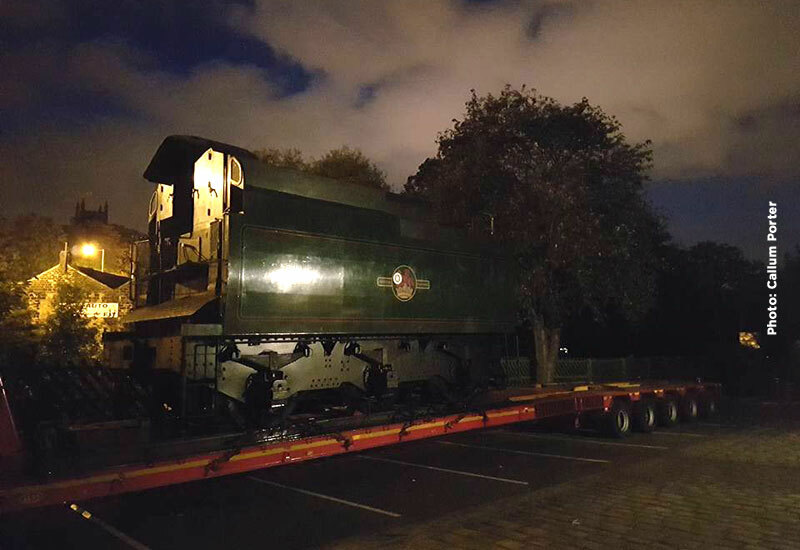 The Railway will release further updates as soon as locomotive details and moves are confirmed. We are grateful to all the efforts of the local authority to solve this problem with us, but it is unlikely to be in time for the October gala. Full BR corridor gangway set. Groups from around the region will be displaying their varied layouts of different shapes and sizes. The Railway will run intensively from 0830 most days into the early evening. Stations are gaslit during the evenings and give a night-time glow as your train rolls in. 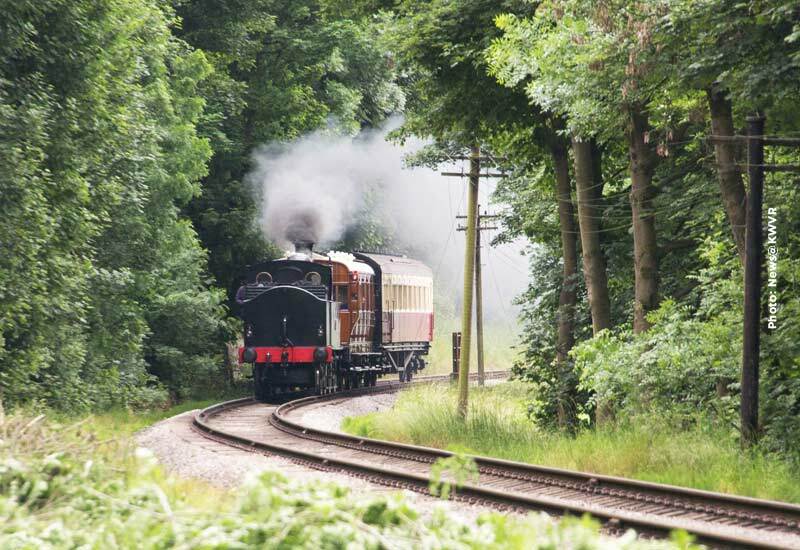 A branch goods train will be in operation during the weekend and will be highlighted on the timetable for each day. Steam gala weekends offer a rare chance to fly through our intermediate stations at full speed of 25mph on our non-stop services. To start your day, Oxenhope buffet is opening especially early and will be serving bacon and sausage butties to get you off to a fine start to the day. So fill up your tenders and replenish your tanks with a good hearty roll and a hot drink to make sure your long day gets off to a good start. That should keep you going until lunchtime when you can top up your reserves with some good honest Yorkshire pie and peas, washed down by hot drink or something from the on-board bar where hand pulled real ale will served all day. Arriving at Keighley or no time to wait at Oxenhope, you can fill up with the usual light snacks from the kiosk but also on Saturday and Sunday we’ll be serving the hot butties and pie and peas there as well. The railway is back to normal after last weeks filming assignment with WD 2-8-0 90733 at the head of a full all line service this week. 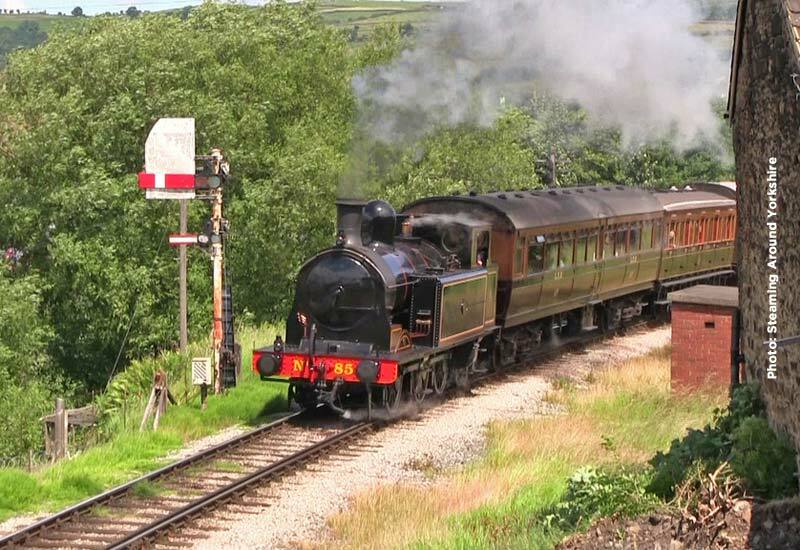 Each day the first steam train leaves Oxenhope at 10.00. Over the weekend 90733 is replaced by MR 4F 43924 being joined on Sunday once again by LNWR 0-6-2 ‘Coal Tank’ 1054 on the Vintage Trains passenger service.